I have written extensively about my complex relationship to the art of Midge Ure. I have alluded to how his 1985 solo single, “If I Was” was perhaps the record second only to David Bowie’s “Let’s Dance,” for the greatest level of disappointment that it engendered to the ears of an ardent fan. But we’ve never actually reviewed the album as such, and since I received the 2010 all-things-to-all-people DLX RM of it as a gift from a friend earlier this year, why not subject it to the Monastic critical gaze? But this record disrupted that natural order. I cautiously bought each single that was issued from this album and only decided to buy the import CD that was sitting in the Peaches bins after hearing the third single and deeming it an adequate Midge Ure solo song. This happened at least six months after the album had been released. The problems I had with “If I Was” were manifold. The mid-80s sound of the digital synths gave it a lot to overcome. This was not an Ultravox sound, and no one would expect Ure, a guitarist first, to compete with Billy Currie on synths. But he did this far more capably in 1982 on his “No Regrets” single and I’ll put that down to the gear he was using. The second issue, which I struggled with, was the song’s lyric. As written by Daniel Mitchell ex- Modern Man and then-currently of Messengers, the tune was pure sap. A re-write of the conceit of “If I Had A Hammer;” a folk song whose progressive sentiment was summarily dispatched here for something far more banal. 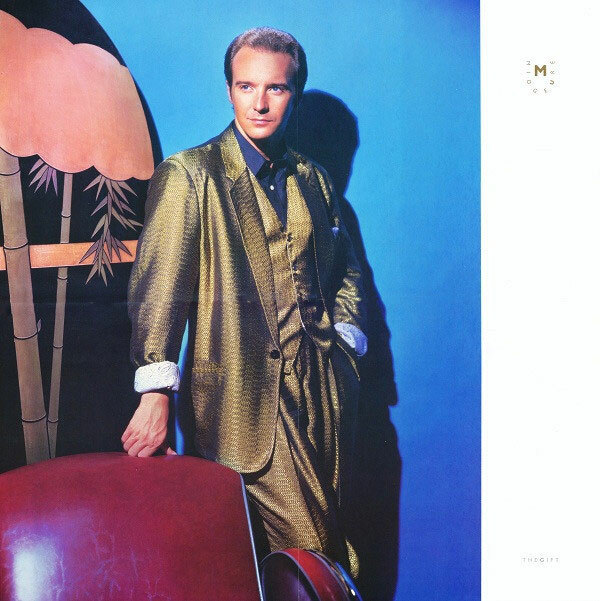 I could not figure out how Mitchell, who Ure had produced a 1980 album by his band Modern Man for, as well as Messengers, who supported Ultravox in tour in 1983, could come up with something so cliche. I have a Messengers single [I’d have more but they’re hard to find] and it’s tremendous next to this cut. The third issue was the crescendo he used as the instrumental hook leading into the chorus. It sounded like something lifted from a Liberace performance in its shamelessness. It was a synth hook that seemed to be made of fondant icing. Sugary sweet and goopy. Then, once we saw it months later, there was the video. Ure had usually self-directed his clips post-1981 [and he had pulled video director duty for artists as disparate as Visage, Bananarama, and Chas + Dave], but aside from the pin screen imagery, his appearance in this clip was pretty eye-rollingly bad. His miming gestures only added to the grandma-friendly vibe of the enterprise. The whole package [the song got to #1 in the UK, unlike any single by Ultravox] reeked of sell out and a willingness to compromise to the lowest common denominator instead of the crisp art-rock aesthetic I’d been used to from Ure until that point. 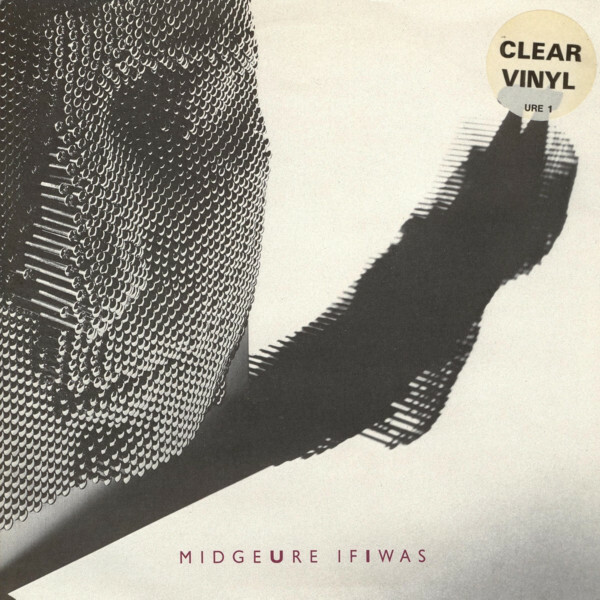 This entry was posted in Core Collection, Designed By Peter Saville, Mid-80s Malaise, New Romantic, Record Review, Scots Rock and tagged 1985, 2009, DLX RM, Mid-80s Malaise, Midge Ure, Solo Album, The Gift. Bookmark the permalink. And of course the great third single, Wastelands wasn’t written by Ure at all. It was written by Danny Mitchell for the aforementioned Modern Man album, but when recorded for The Gift Mr. Ure magically got a co-writing credit. I don’t want to preempt your next exciting instalment but in context The Gift wasn’t bad at all. It was no where near as good as the Ultravox albums preceding it but it was 100% better than the Ultravox album that followed (with Midge firmly in the driving seat) and is the best solo album he’s ever released. I’m pretty sure the reason why If I Was got to number 1 in the UK was because Midge was now famous for writing, recording and producing the Band Aid single the previous Christmas, so people bought it because of that, not because it was a good song. I also assume that getting to number 1 gave him the clout to take complete control of Ultravox, it sound, direction and ultimate demise. I’ve always found that Midge plus others equals amazing (Ultravox, Visage, with Mick Karn) but by himself it’s always been pretty mediocre. I also think it is one of the problems with successful bands, because one guy stands in the front and sings at least 50% of the public (including the accountants and label managers) wrongly assume he/she is the one who wrote it and has all the talent. Fantastic take on this album, sir. excellent writing and I agree 100% with your comment. Richard Anvil – You said a mouthful. I completely agree with the notion that Ure is best used as part of a mix. He’s got a lot to contribute, but to pin the whole enchilada on him is short sighted. He’s very talented, but he’s not Prince or Todd Rundgren. The last time I saw him, I suggested after the show that he do an album with his old friend, Glenn Gregory. Damn, but that notion could really rock. He should be playing, singing, and arranging in a collective situation. As you’ll see, I have a nuanced appreciation of this album that sits close to your own. Speaking of Glenn Gregory, Echorich is sitting in the O2 Shepherd’s Bush seeing H17 right now! Wish I was there! And not only for his excellent company. JT – Damnit. I still have exactly zero Rich Kids in my Record Cell! Memo to self. albums from one of my favorite artists. were coming off the masterpiece that was ‘lament’. and this album preceded the ill fated ‘pink’ album u-vox. 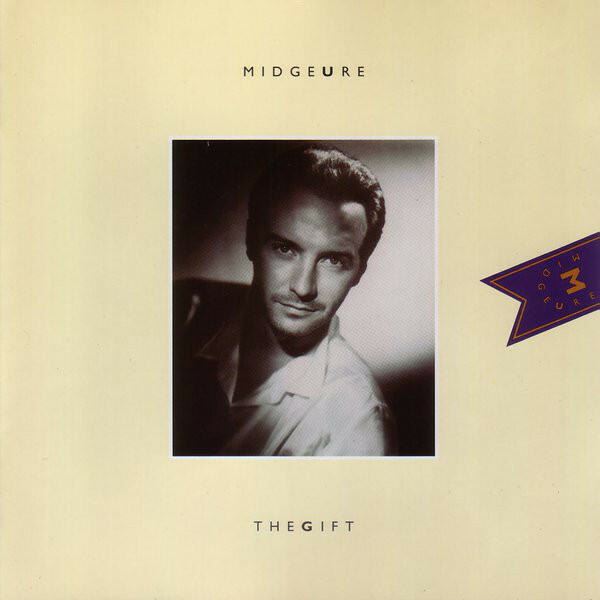 i actually knew who midge ure was, so i was happy to see the album. it. this album was more exciting to me. ‘if i was’ single until a few years later. i also managed to find a few 7 inch singles imported of course. and gatefolds, picture discs, etc, until much later. i grabbed everything i could from him, and loved it all. all the credits, was amazed at all the amazing guests on it. glenn gregory – did backing vocals on antilles, love his voice. was great to hear them again. whatever it was had no impact on me good or bad. that he was getting some recognition for his own work. they tell’. the whole song comes together in an epic finish. rather haunting main tune throughout. this upbeat track, and it has a nice melody that fits well. decided it didn’t need them. very smooth and upbeat track, beautiful lyrics and melodies throughout. this one could have been a single too. soo many to choose from. gift song, which closes out the album. into this was amazing to me. negative1ne – Wow! Thanks for the in depth review from your perspective. I agree with many of your points, as we’ll see next week. I used to think that Orlando, Florida was the sticks, but getting Ultravox and Midge Ure solo singles on import was definitely possible. I rarely saw the clear vinyl in town though. Most of what I have [almost a full run of ‘Vox 7″ers, and all of the Chrysalis Ure 7″ers, but none of the 12″ers] I got mail order in the 80s-90s. I remember seeing an ad for a record dealer in Trouser Press that listed “The Bloodied Sword.” It was listed as a Midge Ure solo album, and I immediately called up the best store in town and they had copies, so my friend Tom and I immediately rushed over and bought them. An interesting record, though far from a Ure solo album, as you may know. Gareth – Welcome to the comments! We give the red carpet treatment to synth pedants here! Do your worst. Thanks for sharing that in-depth Sound-On-Sound article. They are great for that. I liked that article. I would have sworn on a stack of John Foxx albums that the koto on “Edo” was the DX7 voice! Color me completely wrong. I remember hearing about the solo album as it took form over long months. At first, Ure was going to do his own “Pinups” with his favorite covers, but that never fully gelled. Sure, sure. He recorded “No Regrets,” “The Man Who Sold The World” and those filtered out earlier, and the album had “Living In The Past” on it. Then I recall hearing of the “Low” scenario, where side one would be vocal with side two being instrumental. The finished product incorporates both ideas without going full tilt in either direction, though it came closer to that ideal. I cite that article, not only as a knee jerk defence of “If I Was” (the UK 12″ lies buried in the collection somewhere), but also as a closet DX7 lover (a DX7S with dead battery also lies somewhere in the house). Agree that a “Low” scenario would probably be preferable to me now; but as a 13 year old I wasn’t ready for that. I look forward to reading your complete post on The Gift DLX Monk. If I Was is as bland as could be but somehow I find it an uplifting song. I think it may have been written with the idea of making Midge mainstream. I also purchased the Gift and associated singles at the time. Negative1ne, very comprehensive review. Lament is far from my favourite Ultravox album but it’s solid. Gareth, what an enjoyable read.Thank you for the link. When I think of the run Midge had from Rich Kids, Thin Lizzy, Visage, Ultravox, Producer and so on. It is incredible. What a talent. And then after The Gift, it all came apart and was never the same. That’s actually a pretty solid song. I have kept up with Midge Ure with every single solo album, every side project, and every live album, club release, and import you can think of. Along with the cd-singles, promos, 12 inches, and live tracks. orchestral covers is half decent, I mean the one before that]. He’s got a legacy of solo career that other artists could only dream of having. varied than everything Ultravox Mk2 ever did, and I don’t say that too lightly. I have this album on vinyl. I haven’t listened in years but will give it a spin soon to better contribute to the discussion. I don’t remember much other than thinking “If I Was” is kinda boring and the Tull cover being interesting but inconsequential. As for that video, I wish I could un-see it. I shouldn’t have clicked the link, but I guess you (sorta) warned us! zoo – You have my deepest sympathies! As you note, I did warn you! Yeah, the sight of Ure in that clip make me want to do the Monty Python Fish Slapping Dance®. Funny enough, the 1985 year-end issue of Smash Hits had Ure’s pick for best and worst video of the year and he picked his self-directed “If I Was” as both. Parse that as you will. Well at least he has a sense of humour! Yeah, that was SCTV dance-party levels of White Dancing on that one. Never cared for that song in particular, either.